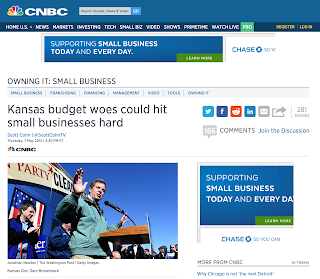 Kansas has nearly an $800 million gap between revenue and expenses. However, as lawmakers struggle to balance income and expense, press reports often refer to a $400 million-plus gap. Why? The Legislature has not yet passed a budget for FY 2016 (which starts July 1, 2015), so an exact expenses total is not yet available. However, based on negotiations in the budget conference committee, State General Fund spending (which includes school block grants) is being set just above $6.5 billion. The official revenue estimate for FY 2016 (revised on April 20) forecasts income of $5.7 billion. With $6.5 billion in expenses, but only $5.7 billion in revenue, the budget gap is roughly $800 million. Stopping a planned transfer of $54 million from the general fund to a local government tax reduction fund. Most of those transfers are short-term solutions, and should not be considered as ongoing revenue. That said, if they are approved, they lower the FY 2016 gap to about $540 million. In addition, lawmakers have been debating whether to increase the fee that managed care companies pay to operate in Kansas. Passage is still uncertain, but if implemented, the proceeds would be used to draw down additional federal Medicaid funds and close the budget gap by another $60 million or so. That still leaves $400 million-plus — the number often cited in press reports — to be raised from tax increases in order for the state to have enough revenue to barely meet a conservative set of expenses. The use of that $400 million-plus number assumes that all of the transfers will be accomplished, and the managed care fee increase authorized. Even if lawmakers do close the FY 2016 $800 million gap with a combination of taxes and transfers, the state will still be in rough financial shape. As long as one-time transfers from the highway fund and other funds are used as gap fillers, the long-term problem will not be solved. Again: expenses are $6.5 billion and growing. Revenue, brought down by dramatic income tax cuts, is hovering around $5.7 billion with little prospect for increase. 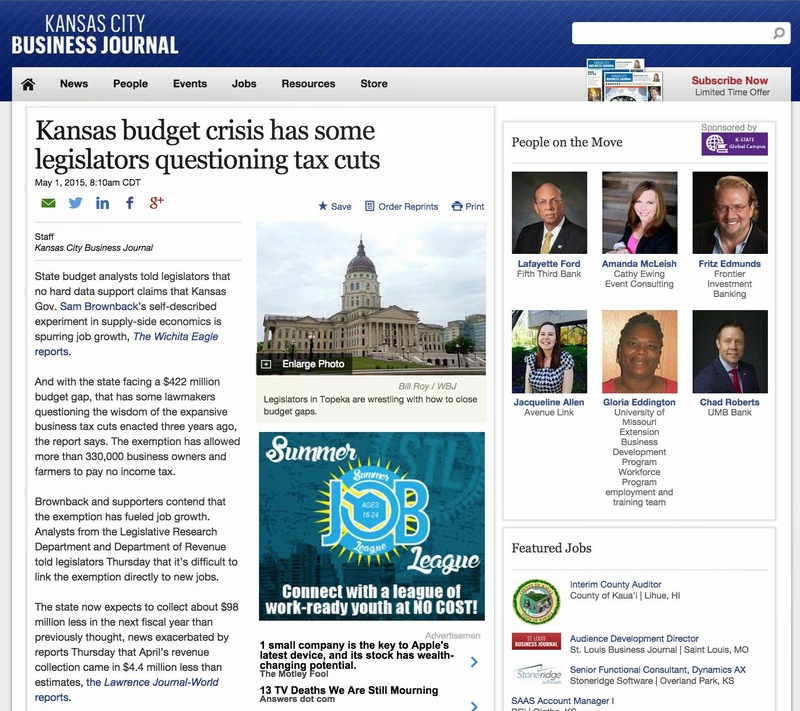 While $400 million in tax increases may begin to address the problem, it does not solve it. A long-term solution requires an ongoing revenue stream that matches expenses. And remember: just closing the gap leaves nothing for an ending balance. State law — not to mention financial prudence — requires that each budget approved by lawmakers have an ending balance equal to 7.5 percent of expenditures. With expenses of $6.5 billion, the ending balance should be about $500 million. But lawmakers will almost certainly pass a provision exempting themselves from that legal requirement. How exactly this Legislature will pass a budget remains to be seen. 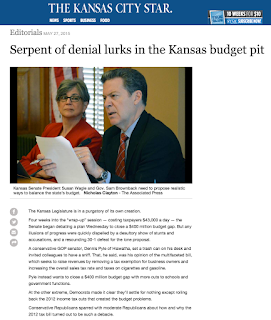 One thing, however, is certain: The deep and unaffordable income tax cuts of 2012 continue to wreak havoc on the Kansas budget.